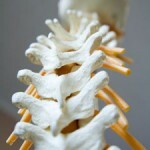 Have you ever considered what toll your job might be taking on your spine? Patients come to us all the time with stories about how their work activities impact their spinal health. An auto mechanic tells us about the many hours he spends in the garage pit under cars all day with his head craned back. A cashier at Costco feels the pain from standing at the checkout, constantly twisting and bending from the waist throughout a shift, passing and bagging purchases. We have often talked about the importance of good workstation ergonomics while sitting at a desk. We have warned about “text neck” – the result of too many hours crouched over our devices, which has kids starting to display spine issues you wouldn’t expect until middle age. Auto mechanics and dentists, for example, might spend long hours crouched and hunched over their work. Both need to move as close to the vehicle or to that patient in the chair to reduce the strain on their backs. Better lighting and magnifying eyewear might also be in order. Factory workers often suffer from repetitive motion disorders, from repeating the same movements over and over for hours at a time. They need to take regular breaks, stretch to relax tight muscles, and switch between tasks. Construction workers, labourers, and warehouse staff also need to be mindful of all their squatting, reaching, and lifting to avoid back strain. The same goes for nursing and personal care staff. They also put their backs at risk moving equipment and patients. On top of the physical aspects of the job, job-related stress only serves to aggravate the issue by causing muscle tension and unbalanced hormone levels. Putting the same constant strain on your spine, day after day, month after month, does take a toll. Muscles get sore and tight. You lose range of motion. If this is happening in your neck, shoulders, and back, it puts constant pull pressure on your vertebrae. An extreme example we have discussed before is Kyphosis, or a humped back. While it often arises in the elderly from osteoporosis, we are increasingly seeing the onset of Kyphosis in younger patients from bad posture at the computer workstation or over a mobile device. If your job leaves you with pain in your back or neck, maybe it is just a muscle strain from trying to lift too much, lifting the wrong way, or just straining to reach. But if that’s the case, the pain will be temporary with proper rest and a cold pack. If the pain is more persistent and long-term, something more acute than a simple muscle strain may be at play. The physical demands of your job may be causing an actual misalignment, or subluxation, of your spine. Untreated, this will only worsen over time. As Chiropractors, we can correct a subluxation, but nothing can reverse arthritic degeneration. Don’t hesitate to reach out to us for tips on how to work safely and protect your spine. And if you have any concern about your spinal health, we are always ready to talk.